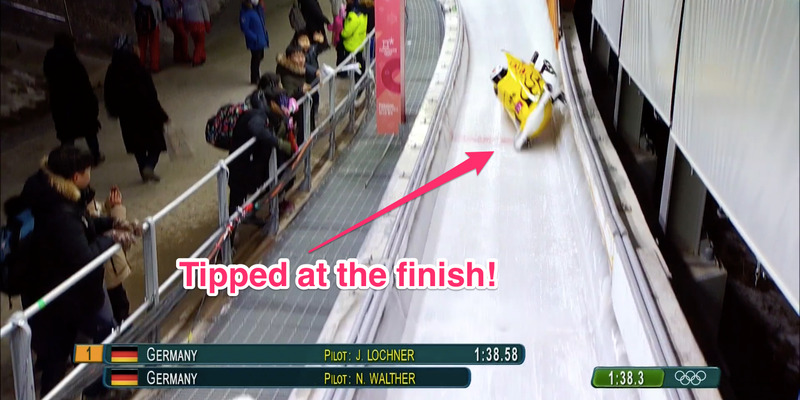 A German two-man bobsled team crashed through the finish line during their second run on Sunday. 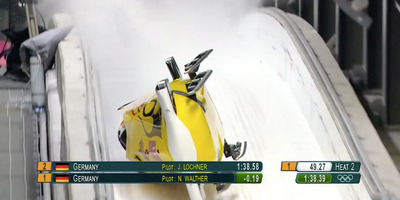 Despite their crash, they finished the day with the fastest time in the field through two runs. Leading the event halfway through, the team is in a position to medal should they keep their form through the final slides of the competition. A German two-man bobsled team crashed through the finish line during their second run on Sunday, but still finished with the top time of any team in the field. With the bobsled competition split into two days worth of runs, the German team of Nico Walther and Christian Poser was looking to put down a solid run to put them in position to make the podium on Monday. They succeeded in that mission, but took too sharp an angle while exiting the final turn of the track, tipped over, and crashed their way through the finish line. The run earned Walther and Poser the top spot in the event, but the dramatic crash delayed the excitement of the moment a bit as the two athletes tucked into their sled for safety. NBC posted a first-person view of the tip. Thankfully, the team bounced righ back up once their sled came to a stop, and immediately began to celebrate once they realised they would have the top time heading into the final two runs of the competition.